Draft: 2011, Philadelphia Phillies, 4th rd. Full name is Cody James Asche…he and wife, Angela, reside in Lincoln, Neb., during the offseason... Graduated from Fort Zumwalt West High School (O'Fallon, Mo.) in 2008... Attended the University of Nebraska, where he hit .327 with 12 homers and 56 RBI during his junior year (2011)… led the Big 12 Conference in homers and ranked second in RBI…named a second team All-American... Majored in economics and was named to the Big 12 Conference Commissioner's Honor Roll... He and wife, Angela, helped raise over $415,000 by participating in the Greater Philadelphia Walk to Defeat ALS in 2015…they also designed a "Together We Fight" T-shirt to benefit The Greater Philadelphia Chapter of the ALS Association... Led the Phillies front office ALS Ice Bucket Challenge in August, 2015. Played in 19 games with the White Sox, before finishing the season with Charlotte (AAA)…started two games at first base and 14 as the designated hitter, while also making three pinch-hitting appearances... Made his first career appearance in left field on April 16 at Minnesota, after entering the contest as a pinch-hitter... Hit his only Major League home run of the season on May 6 at Baltimore, a solo shot off Dylan Bundy... Optioned to Charlotte on May 14 and was outrighted on May 16…hit .370/.466/.615 (50-for-135) in his first 43 games with the Knights... Batted .311/.389/.551 (70-for-225) against right-handed pitching in Triple-A…also batted .336 (49-for-146) with runners on base... Enjoyed a nine-game hitting streak (May 23-June 1), batting .483 (14-for-29) with seven extra-base hits (four homers), 13 RBI and four multi-hit contests... Matched a career-high with five hits on July 7 vs. Louisville…it marked his third career five-hit effort, also doing so on July 10, 2013 with Lehigh Valley (AAA) and June 14, 2012 with Clearwater (A). Appeared in 71 games with the Phillies, including 54 starts in left field … went 2-14 (.143) as a pinch hitter … hit all four of his homers off right-handers...Hit .259/.317/.473 in the first half (35 games), compared to .153/.242/.188 after the break (36 games) ...Opened the season on the disabled list with a strained right oblique … appeared in 15 combined games with Class A Clearwater, Class AA Reading and Class AAA Lehigh Valley on a rehab assignment … was reinstated from the disabled list on 6/2...Went 3-4 with two doubles, a home run and two RBI on 6/15 vs. Toronto … was optioned to Lehigh Valley on 8/12 and recalled on 9/10 for the remainder of the season...Combined to hit .248 (36-145) with eight doubles, eight homers, 19 RBI, 24 runs scored and 14 walks in 38 games between Clearwater, Reading and Lehigh Valley...Batted .302 (26-86) with six doubles, four homers, 11 RBI, 10 walks, 14 runs scored and a .512 slugging percentage with the Iron Pigs before joining the Phillies for the remainder of 2016. February 25, 2019 3B Cody Asche assigned to Los Angeles Dodgers. November 2, 2018 3B Cody Asche elected free agency. August 21, 2018 Cody Asche roster status changed by Las Vegas 51s. August 14, 2018 Las Vegas 51s placed 3B Cody Asche on the 7-day disabled list retroactive to August 13, 2018. May 4, 2018 3B Cody Asche assigned to Las Vegas 51s. May 3, 2018 New York Mets signed free agent OF Cody Asche to a minor league contract. 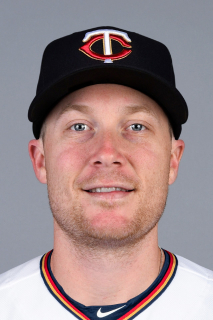 May 1, 2018 Scranton/Wilkes-Barre RailRiders released OF Cody Asche. April 4, 2018 Kansas City Royals traded 3B Cody Asche to New York Yankees for Future Considerations. April 4, 2018 New York Yankees optioned OF Cody Asche to Scranton/Wilkes-Barre RailRiders. December 15, 2017 Kansas City Royals signed free agent DH Cody Asche to a minor league contract and invited him to spring training. December 15, 2017 3B Cody Asche assigned to Omaha Storm Chasers. October 2, 2017 DH Cody Asche elected free agency. May 16, 2017 Chicago White Sox sent Cody Asche outright to Charlotte Knights. May 15, 2017 Chicago White Sox optioned DH Cody Asche to Charlotte Knights. April 2, 2017 Chicago White Sox selected the contract of Cody Asche from Charlotte Knights. January 6, 2017 LF Cody Asche assigned to Charlotte Knights. December 22, 2016 Chicago White Sox signed free agent LF Cody Asche to a minor league contract and invited him to spring training. December 2, 2016 LF Cody Asche elected free agency. December 2, 2016 Philadelphia Phillies designated LF Cody Asche for assignment. September 10, 2016 Philadelphia Phillies recalled LF Cody Asche from Lehigh Valley IronPigs. August 12, 2016 Philadelphia Phillies optioned LF Cody Asche to Lehigh Valley IronPigs. June 2, 2016 Cody Asche roster status changed by Philadelphia Phillies. May 27, 2016 Philadelphia Phillies sent LF Cody Asche on a rehab assignment to Lehigh Valley IronPigs. May 22, 2016 Philadelphia Phillies sent OF Cody Asche on a rehab assignment to Reading Fightin Phils. May 13, 2016 Philadelphia Phillies sent LF Cody Asche on a rehab assignment to Clearwater Threshers. May 29, 2015 Philadelphia Phillies recalled LF Cody Asche from Lehigh Valley IronPigs. May 12, 2015 Philadelphia Phillies optioned LF Cody Asche to Lehigh Valley IronPigs. June 20, 2014 Cody Asche roster status changed by Philadelphia Phillies. June 17, 2014 Philadelphia Phillies sent 3B Cody Asche on a rehab assignment to Lehigh Valley IronPigs. June 13, 2014 Philadelphia Phillies sent 3B Cody Asche on a rehab assignment to Lakewood BlueClaws. May 25, 2014 Philadelphia Phillies placed 3B Cody Asche on the 15-day disabled list retroactive to May 23, 2014. Left hamstring strain. July 30, 2013 Philadelphia Phillies selected the contract of 3B Cody Asche from Lehigh Valley IronPigs. March 30, 2013 Cody Asche assigned to Lehigh Valley IronPigs from Reading Fightin Phils. January 23, 2013 Philadelphia Phillies invited non-roster 3B Cody Asche to spring training. June 23, 2012 Cody Asche assigned to Reading Phillies from Clearwater Threshers. April 4, 2012 Cody Asche assigned to Clearwater Threshers from Williamsport Crosscutters. June 15, 2011 Cody Asche assigned to Williamsport Crosscutters. June 13, 2011 Philadelphia Phillies signed 3B Cody Asche.